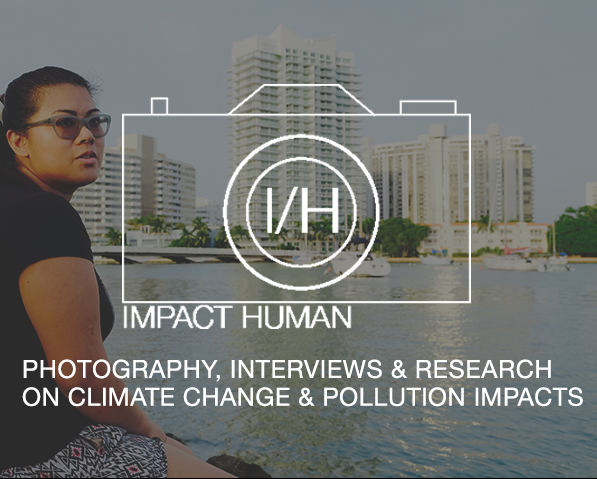 Impact Human uses photography, interviews, and policy research to educate the public on human rights and environmental injustices faced by communities coping with climate change and pollution. Your donations will help us get future projects off the ground, and amplify the voices of those directly impacted by climate change and pollution. Equipment and supplies needed to produce interviews and photography. Website hosting and other administrative costs. We are an IRS registered 501(c)(3) organization, all donations are tax-deductible. Our work is currently funded by the generosity of individuals who have chosen to donate. We are currently seeking grants, partnerships, and other opportunities to fund our work. You may receive updates from Impact Human, the sponsor of this fundraiser. You may receive updates from Michelle Chasteen, the creator of this fundraiser. We are a NY-State registered not-for-profit and a registered 501(c)(3) organization, all donations to Impact Human are tax-deductible.